Some super innovative ideas for integrating a screen (iPod touch) with Lego creations. First, a cover that has rubber studs on it for attaching Legos to. 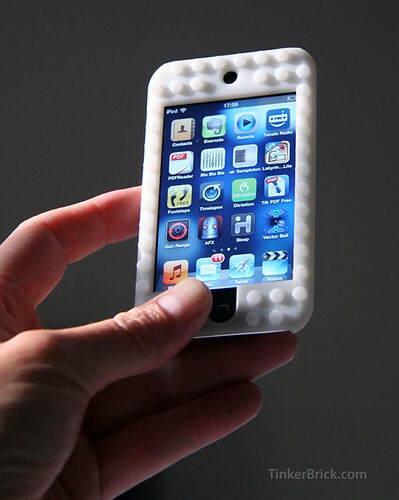 This can be used to build the iPod into a creation to use it as a display. But the makers don't just think of it as like a user display or interaction, but also as a sort of object that is part of the creation itself, like an illusion. Here's an example where the screen is the bed of a dump truck. 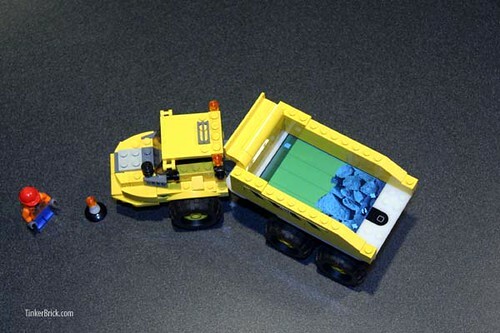 It displays the "material" in the truck, which "dumps out" as the bed is tilted.